Michigan officials, including Gov. Rick Snyder, could face manslaughter charges if a state investigation determines “gross negligence” led to the deaths of Flint residents who were forced to rely on contaminated water. The news came today from Todd Flood, special counsel for the state Attorney General’s office, which is investigating the handling of the Flint water crisis that caused thousands of people to be poisoned by lead. Health officials believe a spike in Legionnaires’ disease in Flint is connected to contaminated water from the Flint River. At least 87 cases of Legionnaires’ disease and 10 deaths were reported in Genesee County from June 2014 to November 2015. 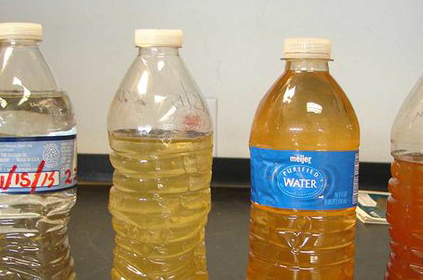 State officials, who took over Flint under the Emergency Manager Act, connected the city’s water supply to the Flint River in April 2014, despite numerous warnings about the dangers of such a move. Officials will face a range of criminal charges if they violated the law or were negligent in protecting the health of residents, Flood and other investigating the Flint water crisis said today during a media roundtable in Lansing. “It’s not far-fetched” that involuntary manslaughter charges could be filed in the case, the Detroit News reported. Records show that federal health officials warned of a deadly Legionnaires’ outbreak in the Flint area in April, more than eight months before Snyder publicly acknowledged the crisis. Despite a series of warnings, the state did not allow Flint to reconnect to the Detroit Water and Sewerage Department until Oct. 16 – long after health officials sounded the alarm about dangerous spikes in lead. The thing that ticks me off about this whole ‘manslaughter’ charade is the fact that it is all a dog and pony show coming from the AG’s office and the fact of the matter is, there will NEVER be any charges that stick to this governor. He needs an orange jumpsuit.